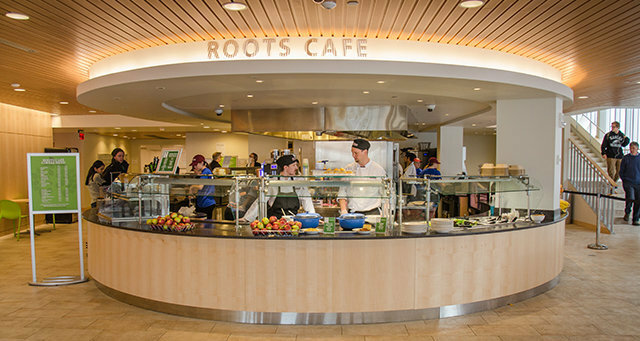 Roots Café features fresh, from scratch items such as artisan pizza, mac and cheese and house roasted meats. Located in the newly constructed Honors Residential Complex, Roots Café offers something for everyone to enjoy. Pizza available Sunday through Thursday, Friday and Saturday 11a-9p with limited menu from 10p-12am.